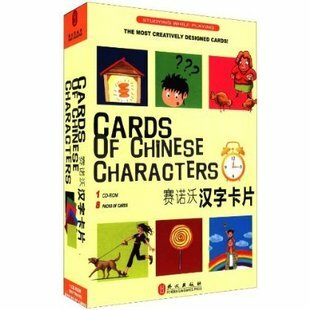 The set of cards includes the 800 most commonly used Chinesecharacters. 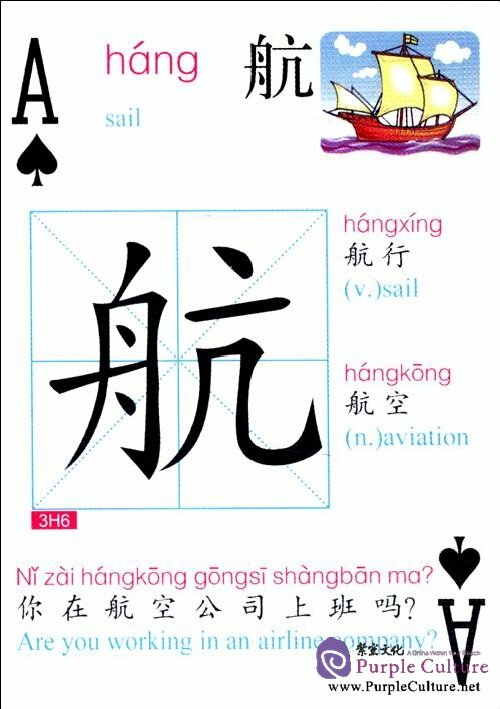 It will improve learners'ability to read and write Chinesecharacters efficiently. Words made up with the characters, andsentences made up with the words will deepen learners' understanding of the characters. It is suitable for non-native Chinese speakers and overseas Chinese. 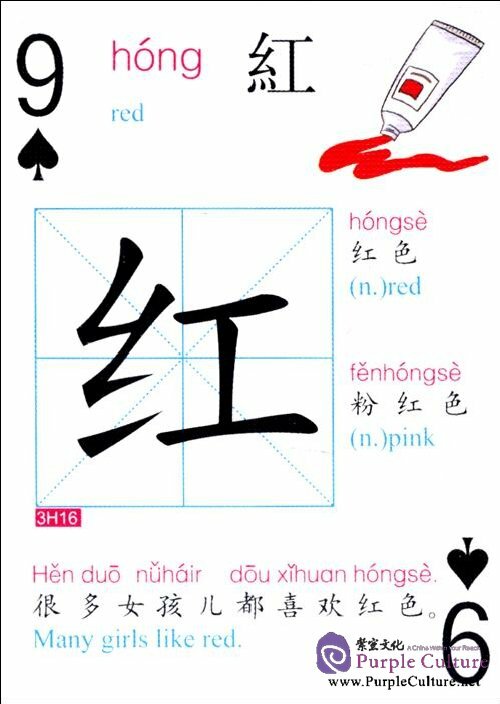 Each character is accompanied by pinyin, illustrations, two or morewords, and one sentence （mostly in the fields of daily life, study, entertainment, work, travel, and business）, covering a vocab,Jlary of3,000 characters. The non-simplified form of the characters are alsogiven for reference. 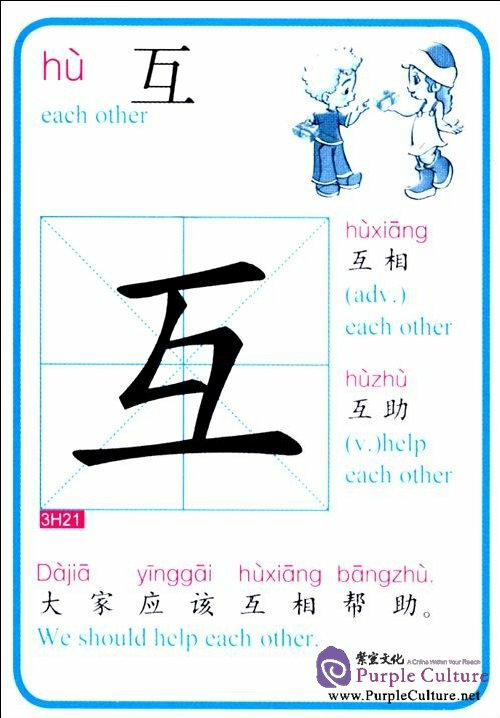 （Simplified characters are mainly used inmainland China, while the non-implified characters are still in use inmany overseas areas. 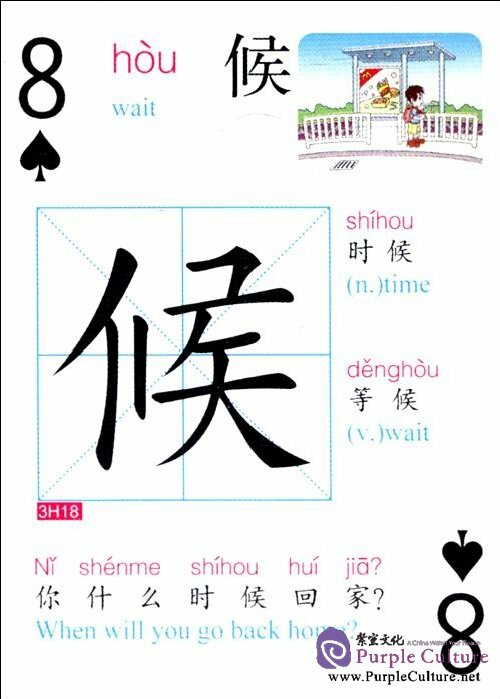 We suggest that learners study the simplifiedcharacter, and have some knowledge of non-simplified characters.）Apart from 100 characters in each set, it also introduces someknowledge about pinyin, writing Chinese characters, Chinese numerals, measurements, proverbs, idioms, two-part allegoricalexpressions, and Tang poems.The cards take the form of international standard playing cards.Each pack is easy to carry and use. One can have fun whilestudying.This set of cards is accompanied by multimedia software. Animation, pictures, words, and sound make your study easy and vivid. It is just like a Chinese teacher who is by your side, teaching you to speak and write.